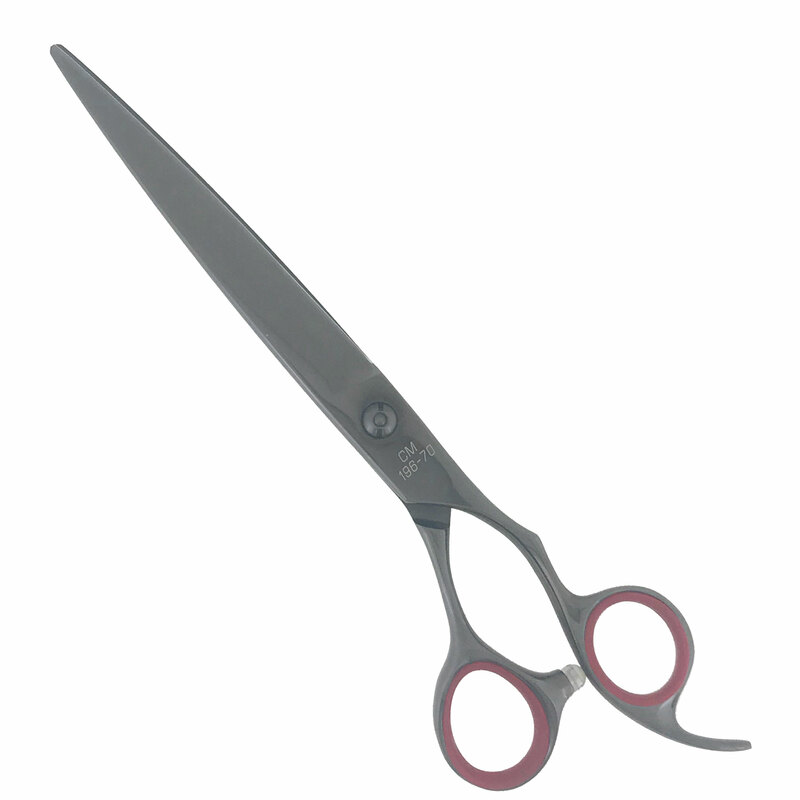 thinning shear. 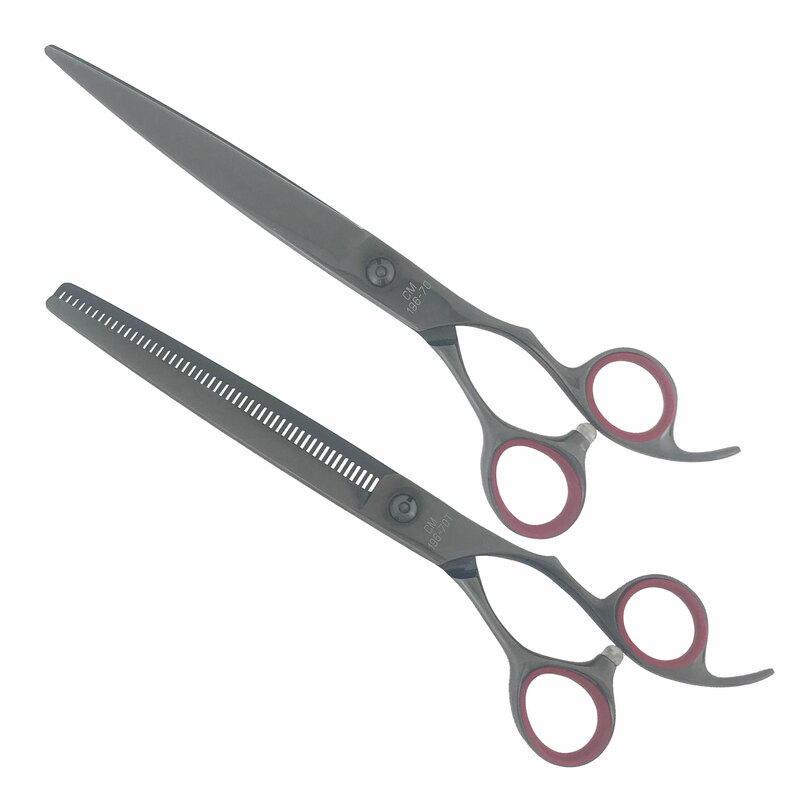 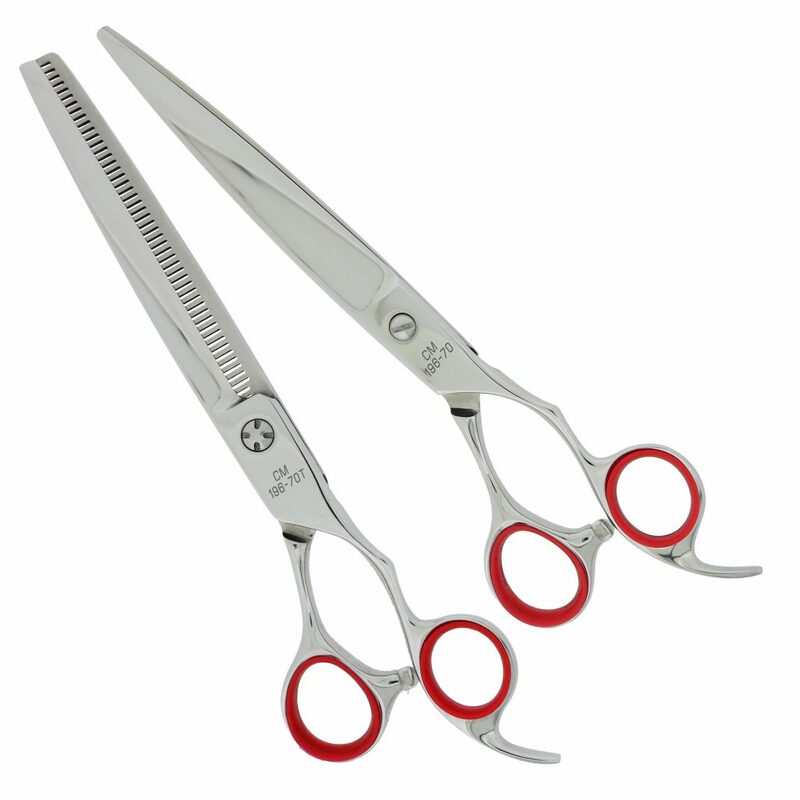 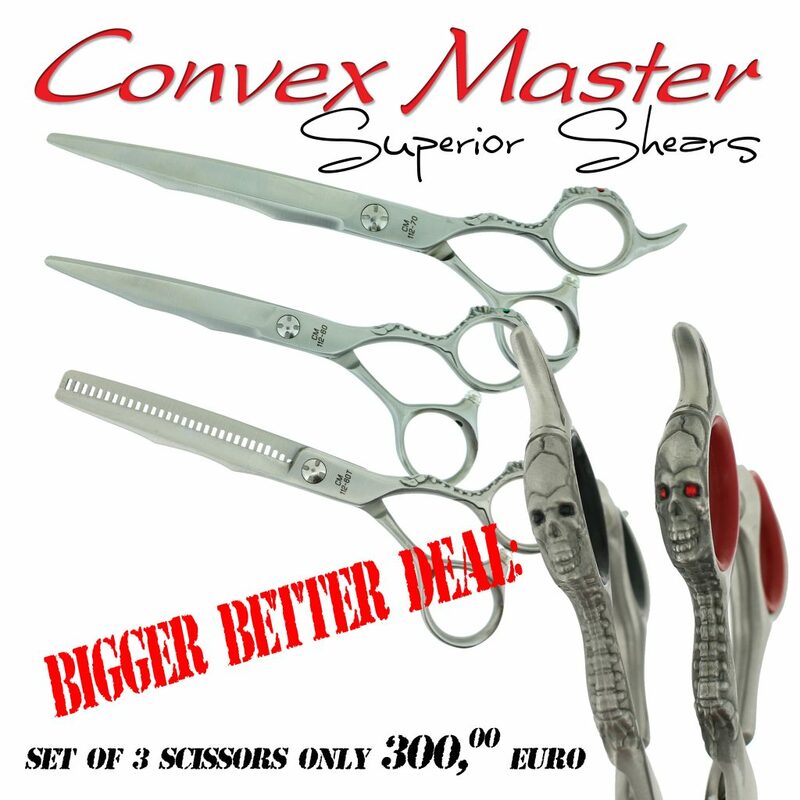 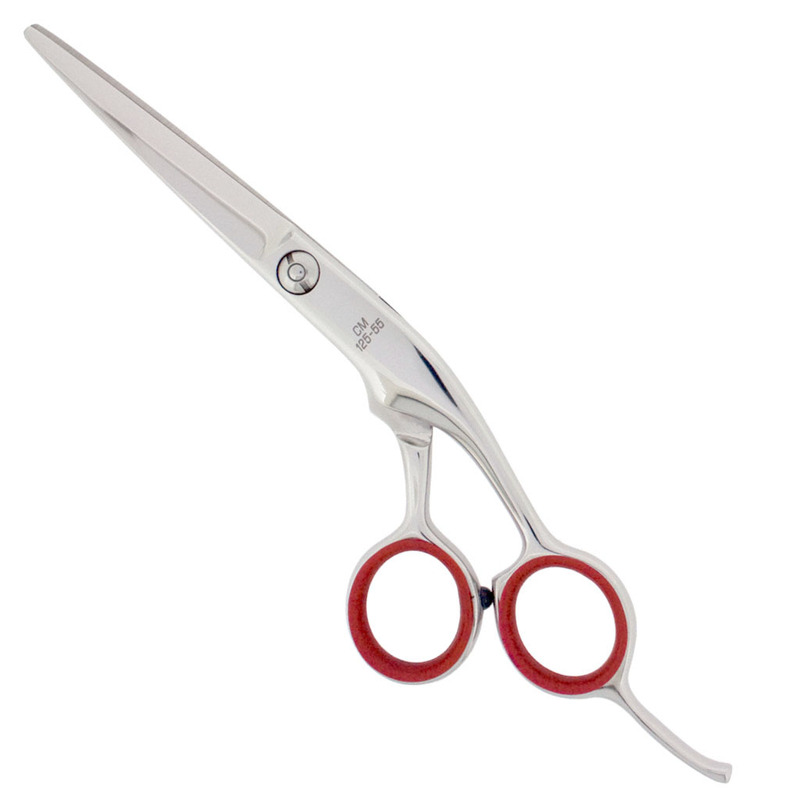 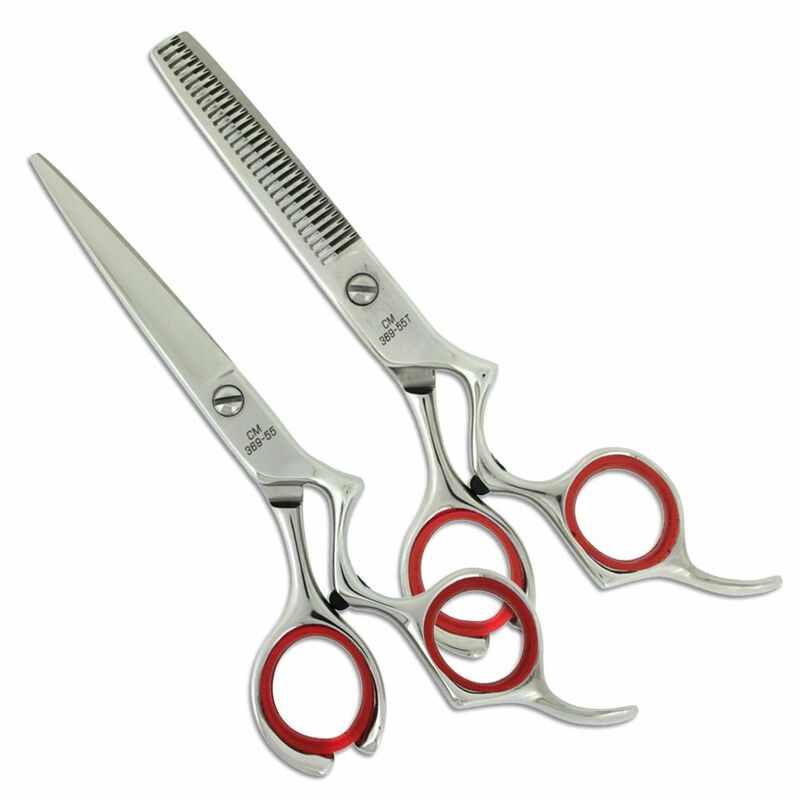 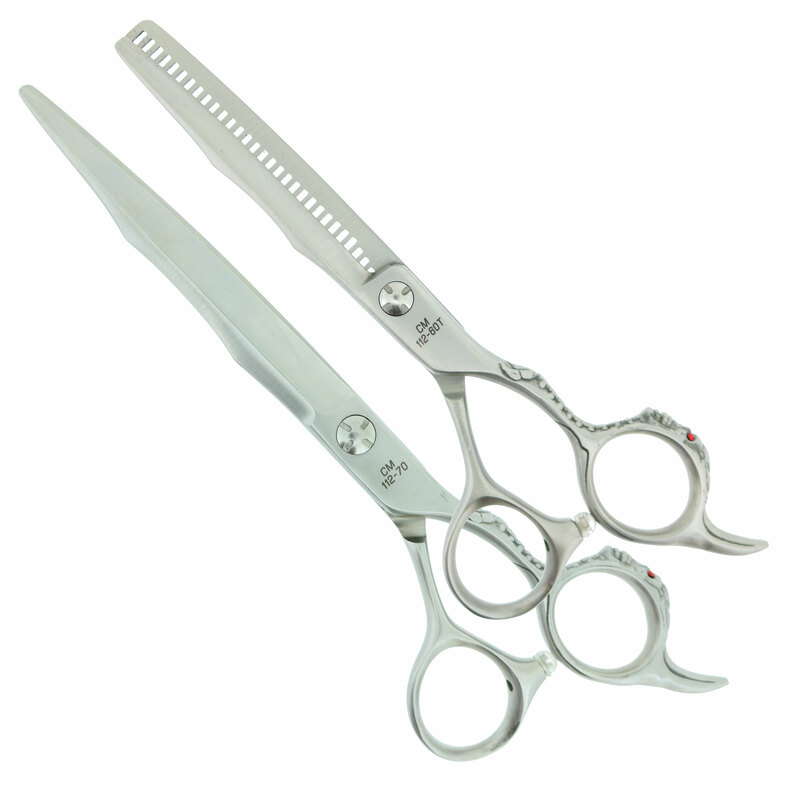 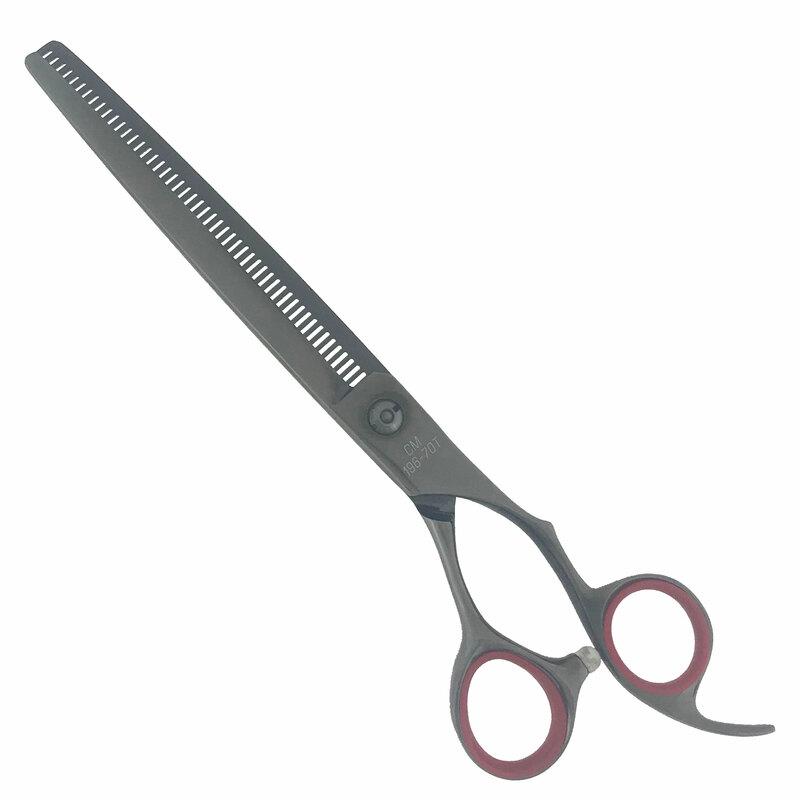 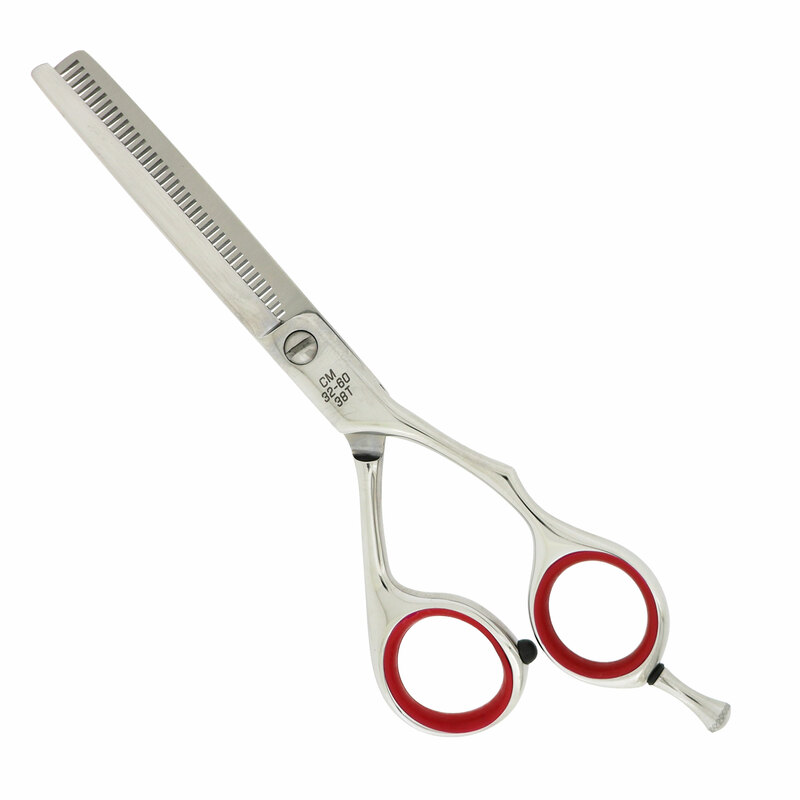 Both expertly honed edges feature anti-push edges for superior cutting performance. 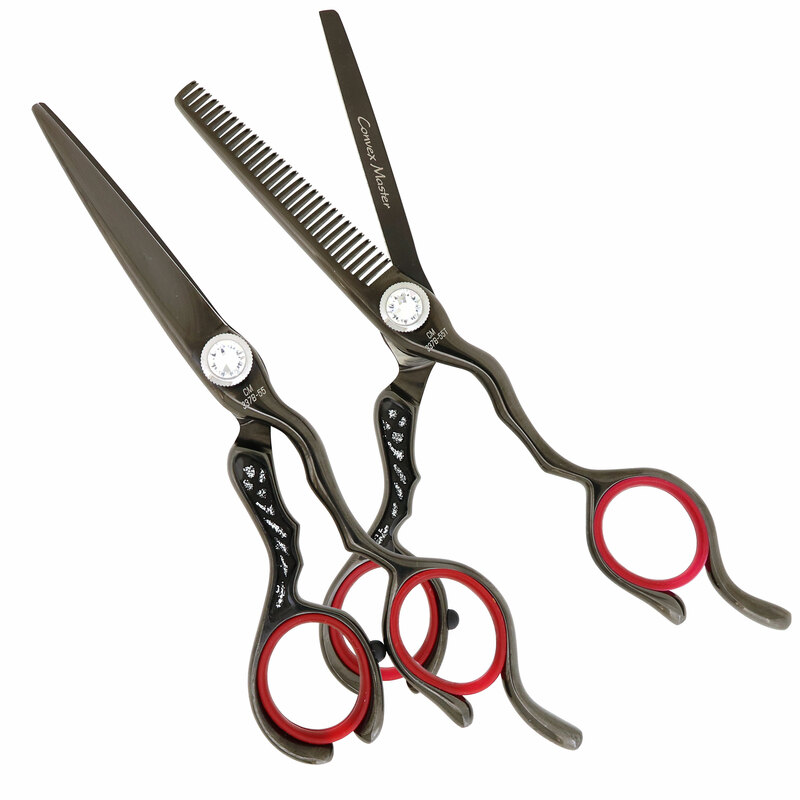 Both finished in gun metal black color. 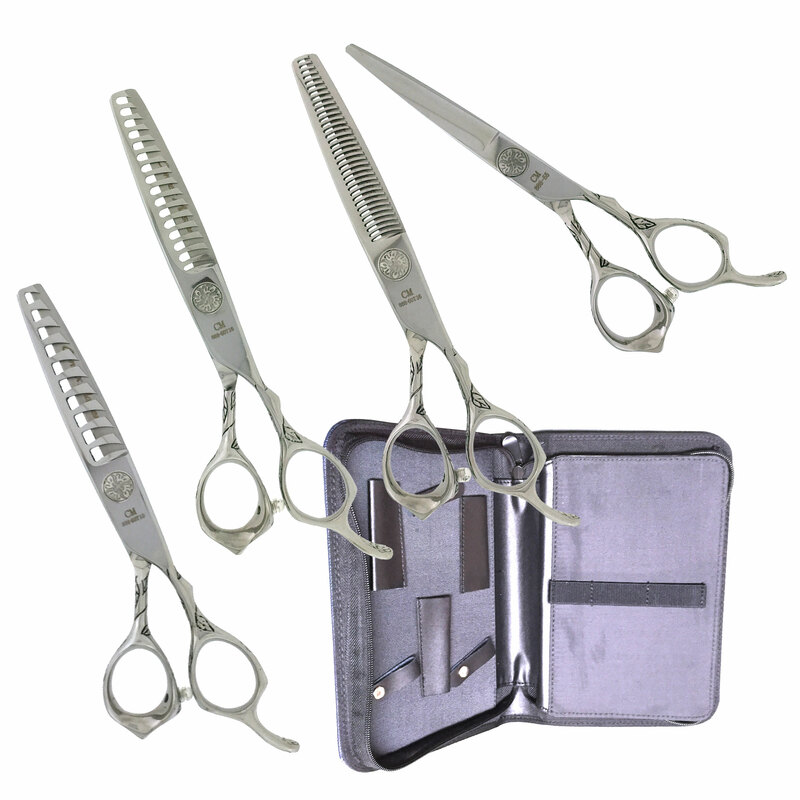 comes with free barber patch.